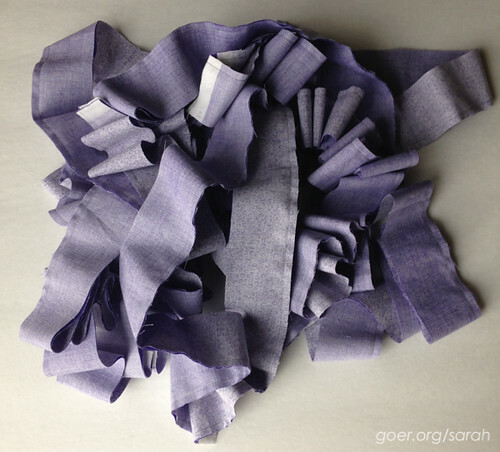 I'm participating in Sarah's 4x7 Sewing Challenge of doing some "selfish sewing" for 30 minutes a day. 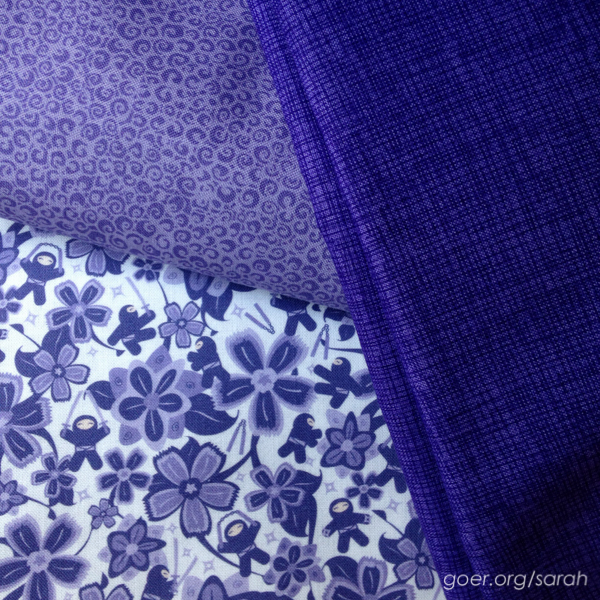 I started purchasing purple fabric for my bed quilt last May. 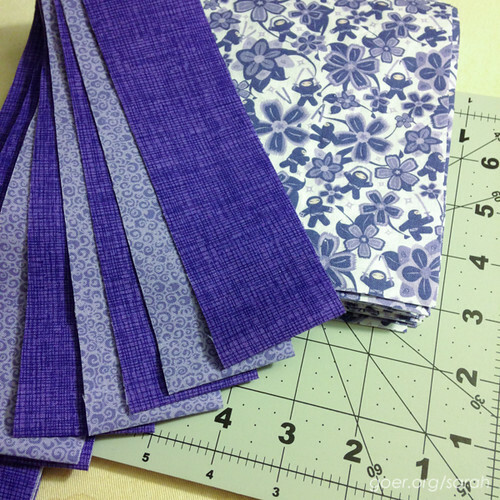 I had trouble finding a blender to match my purple ninja fabric. Since I decided that this project would be my focus of the 4x7 Challenge, I brought my fabrics along with me to Intrepid Thread last Friday for help from Molli Sparkles (Thank you again!) on his visit from Australia. I walked away with a perfect coordinating blender (top left) by Valori Wells for my project and I'm excited to get started. 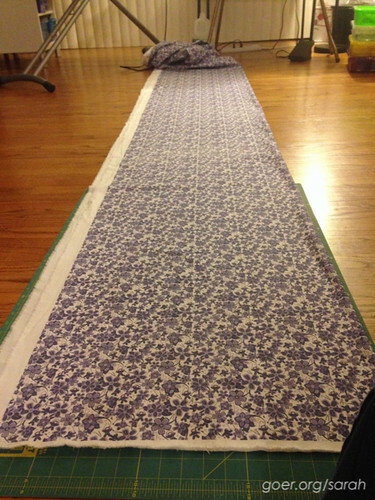 Finishing this purple ninja king size quilt top is my ALYoF February goal. Day 2... Called the plumber. ;-) And spilled milk on my laptop keyboard. (Thankfully, it's just fine after 24 hours in rice.) I did manage to get the fabric all prewashed once our plumbing issue was fixed. That was my "sewing" progress. Day 3... Daughter throwing up... son came home early from school sick. I still managed to get my 11 yards of fabric all ironed and started cutting pieces for my project. Day 4... In prewashing some unrelated fabric, I had a minor laundry catastrophe. More progress on cutting ninja quilt fabric. Day 5... Finished cutting all my fabric for the ninja quilt. Woo hoo! Started piecing my 2" strips. Day 6... Pieced nearly half of my 2" strips. Day 7... Finished piecing my 2" strips. Yay! It doesn't look like much, but I should be able to start cranking out blocks this next week. Thanks for the motivation, Sarah! 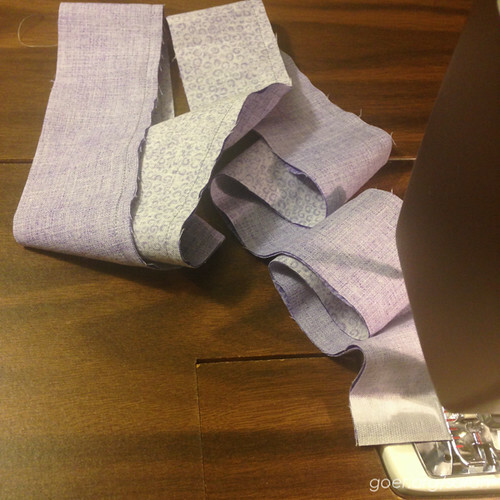 Linking up to ALYoF February Goals and the 4x7 Sewing Challenge Week 1. Posted in Quilting. 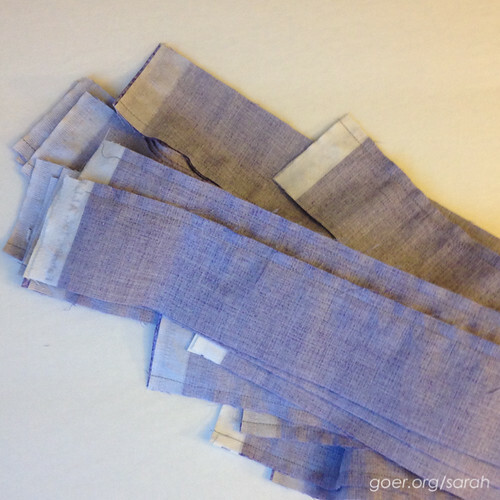 Tags: 4x7 sewing challenge, ALYoF, goals on February 7, 2015 by sarah. you are busy "quilting" bee!! Glad you didn't cry over the spilled milk! What a week. I'm really impressed that you got any sewing done in all of that craziness! I am not usually a fan of purple but you chose just the right shade! Wow, what a week. Hope things have calmed down and that the kids are feeling better. You deserve way more than a 1/2 hour of ‘selfish sewing'! Truth be told, I've been sewing much more than that, both on my "selfish" project and on other stuff. Things are definitely more zen. We even got away for a day at the zoo yesterday. ohhh I love those purples, but purple is my favorite color. What fun it must have been getting advice from the "Molli Sparkles"!!!! Great fabric choices. Good luck with the progress.